Rated M for Mature. One of the best-selling titles of 2015 has gone XL! 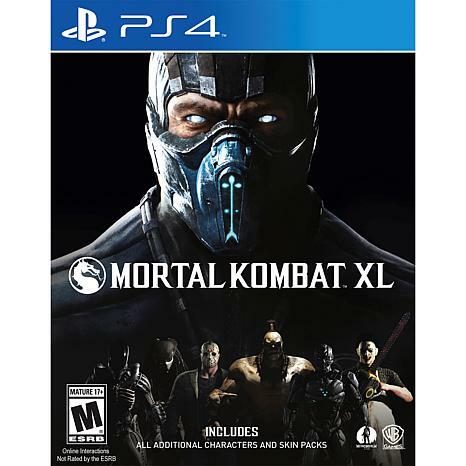 Komplete The Mortal Kombat X Experience with new and existing content. Includes main game, and new playable characters Alien, Leatherface, Triborg, and Bo'Rai Cho. Previously released playable characters include Predator, Jason Voorhees, Tremor, Tanya, and Goro. Also includes new skins pack Apocalypse Pack and all previously released skins packs. 17 and Older. Fighting and Shooting. Warner Home Video Games. USA.